The main area of my research is in discourse analysis of the Chinese language (Chinese linguistics). I am interested in Chinese discourse grammar as reflected, not in the structure of sentences per se, but in how clauses and sentences are linked to form long stretches of connected discourse. My analysis supplements the conventions and research agenda of much of the extant scholarship by taking a discourse perspective on dynamic language use. Recently, I have worked on grounding structure in Mandarin Chinese and the syntax-semantics interface, on issues such as the function of word order and clause structure in written narrative discourse, adverbial margins in complex sentences, aspect and aspectual coercion. 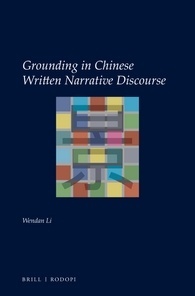 My 2018 book Grounding in Chinese Written Narrative Discourse offers a comprehensive account of how Chinese, as a language without extensive morphological marking, highlights (or foregrounds) major events of a narrative and demotes (or backgrounds) other parts of the discourse. The study is based on qualitative and quantitative analysis and examinations of authentic written text. It provides extensive evidence to demonstrate that Chinese uses various types of morpho-syntactic devices in a wide range of structural units to mark the distinction between foregrounding and backgrounding. The analysis paves the way for future studies to systematically approach grounding-related issues. In earlier projects, I worked on Chinese topic-comment structure and topic chains. My research also forges connections between linguistic analysis and language teaching. I have written on Chinese discourse grammar applied to second-language teaching, and the teaching of Chinese calligraphy to American students. Grounding in Chinese Written Narrative Discourse. Leiden: Brill (2018). The many faces of adverbial margins. Chinese Language and Discourse, 7.1 (2016). Clause structure and grounding in Chinese narrative discourse. Chinese Language and Discourse 5.2 (2014). The pragmatics of existential–presentative constructions in Chinese: A discourse-based study. International Journal of Chinese Linguistics 1.2 (2014). Perfectivity and grounding in Mandarin Chinese. Studies in Language, 38.1 (2014). Temporal and aspectual references in Mandarin Chinese. Journal of Pragmatics, 44.14 (2012). 美国高校的中国书法课程刍议 (Chinese calligraphy courses in American Universities). 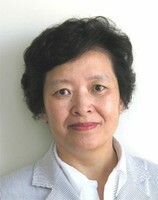 Yuyan Jiaoxue yu Yanjiu (Language Teaching and Linguistic Studies) (2011). Chinese Writing and Calligraphy. Hawaii: University of Hawai’i Press (2010). 书面语体输出偏误对汉语词语教学的启示 (Features of Advanced L2 Chinese Writing and their Implications for the Teaching of Vocabulary). Journal of Chinese Language Teachers Association 45.3 (2010). 把话题链纳入汉语教学语法体系–汉语语篇特点在外语教学中的体现 (Incorporating Topic Chains into Pedagogical Grammar of Chinese: Discourse-Oriented Nature of Chinese reflected in Second Language Teaching). Journal of Chinese Language Teachers Association 41:1 (2006). Topic Chains in Chinese – A Discourse Analysis and Applications in Language Teaching. Muenchen, Germany: Lincom Europa (2005). The Discourse Perspective in Teaching Chinese Grammar. Journal of Chinese Language Teachers Association 39.1 (2004).